As the skin ages, many of us find that one of the most affected area is the skin around the eyes. There are products you can add to your skincare routine to specifically treat it, such as Olay Regenerist Eye Lifting Serum. The serum is one of several products in the Regenerist line, which includes sculpting cream, moisturizer, lotion, skin repair treatments, and several products for fighting wrinkles. Olay Regenerist Eye Lifting Serum and other products in this lineup, all of which target the signs of aging, are part of the overall Olay brand collection. Olay Regenerist Eye Lifting Serum ingredients include niacinamide, which is a vitamin B3 derivative and helps prevent skin inflammation and slows the signs of aging. The serum also contains green tea extract, which is a powerful antioxidant, and vitamin E which helps the skin retain moisture. The formulation also includes titanium dioxide, which protects the skin during exposure to sunlight. Peptides and amino acids reduce the appearance of fine lines and wrinkles by boosting collagen growth with prolonged use. 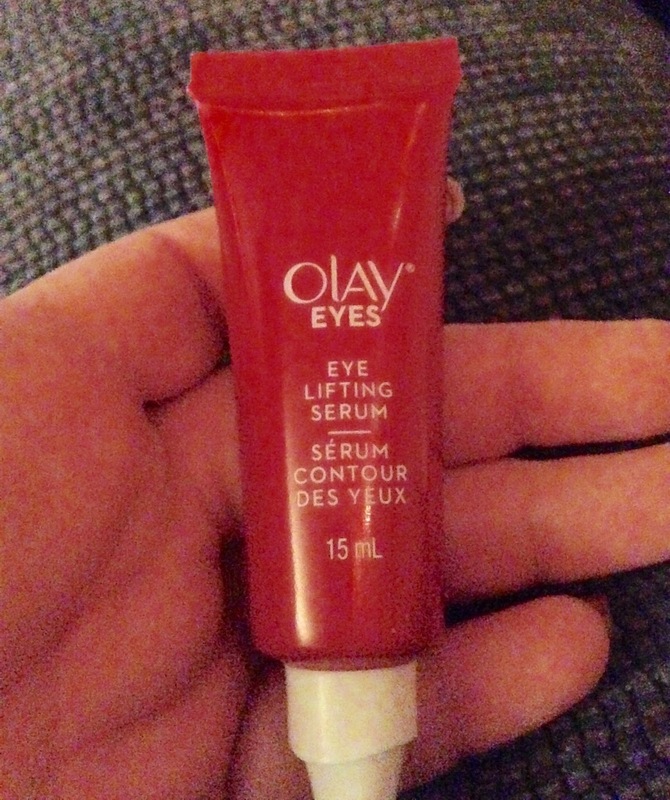 Before I applied Olay Regenerist Eye Lifting Serum, I did my usual skin cleansing regimen. I would dab the serum around the eyes where the “smile lines” (a.k.a crow’s feet) and other wrinkles were the most visible, and then under the eyes to treat sagging skin and/or eye bags. The formula is fragrance-free and non-greasy, it quickly absorbs into the surface of the skin. It is a pearl colored cream has a thin consistency and feels very light on the sensitive skin around the eyes. This comes in a tube with a pointy tip and is easy to dispense the right amount of product. After using it every morning for 2 weeks, I didn’t notice amazing results, it made the lines softer but nothing extraordinary but it did help when I didn’t get enough sleep and my eyes were a bit puffy. It didn’t completely work for me but maybe it will work for you.